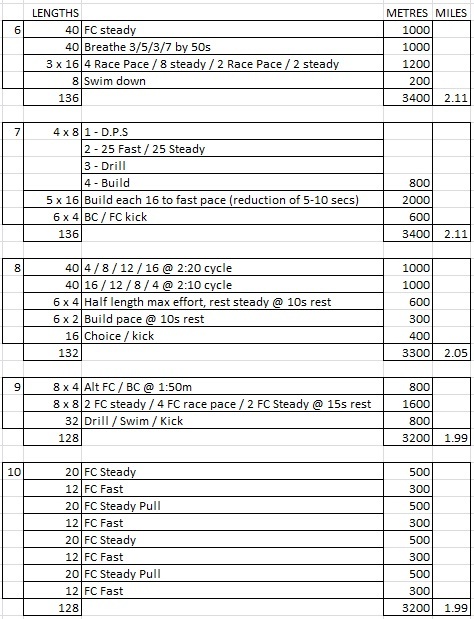 I used the swim sessions below to train for the Sprint Triathlon I did in August 2009. It worked and helped me reduce my swim times, but I felt it took up too much time. 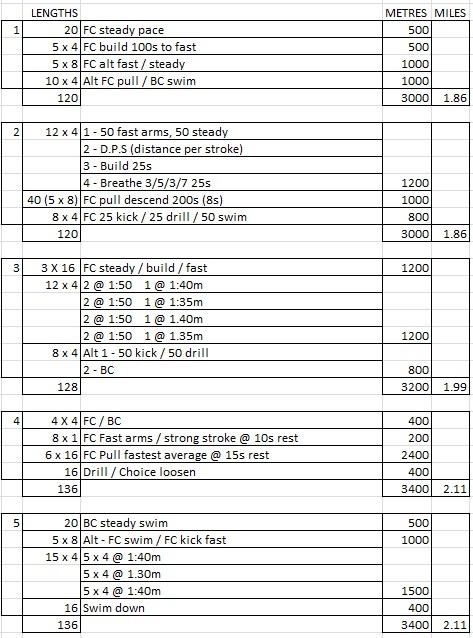 I created a 3000m (120 lengths) version and a 2500m (100 lengths) version so that I wasn’t working for so long when I went swimming.